We are a friendly group of health professionals that strive to provide an excellent service for the upliftment of our community. Our friendly dentists offer a range of affordable and high quality dental treatments for the whole family. We are a young, up-to-date, highly qualified and friendly group of health professionals in Johannebsurg. We strive to provide excellent health & wellness services at a reasonable price for the upliftment of our community. High quality and personalised Dental Care from babies to the elderly. Compassionate and comprehensive Medical Care for the whole family. Affordable and high quality dental treatments for the whole family. Cosmetic dental treatments to restore both strength and beauty to your smile. Routine medical check-ups, Health promotion and Appropriate referral to a specialist. Compasionate care for cancer survivors. Effective and long lasting weight loss treatments and care. Treatments for back & neck pain, joint problems, injuries and nerve impingement. Treatments for sports injuries and the rehabilitation for back to sport functionality. Latest news and specials from our Blog. Visiting the dentist on a regular basis is the key to maintaining good oral health. Before and after photos of our Dentistry patients and their comments. We have all heard the saying “You are what you eat”, but have you ever heard of the one that goes "We are what we repeatedly do"? Had some dental work done at the centre. Dr Tim and the team are absolutely incredible. Definitely recommend them. Exceptional treatment and 5 star service! Absolutely recommend Dr's Tim & Rona Struwig. Dr. Rona is all 3 my children's dentist & has the best approach to working with kiddies in the dentist chair. Dr.Tim is the only dentist I know that you don't feel a thing when he applies injections and his work is impeccable. Both are highly professional & treat their patients with utmost care & respect. I definitely recommend this practice for professional, affordable dental care, including aesthetic dental work. Great people, comfortable environment, quality results. The most caring and professional practice with the most caring staff. I've never known Dentists like this who go the extra mile. I am so grateful for the work done on my teeth. As a business woman and a professional DJ, my smile is important. Thank You for always being there for me no matter what, at times even to wipe away my tears. A grateful and happy client of TimRon. Dr. Tim Struwig literally changed my life for the better. Great guy, superb dentist. Highly recommended! Absolutely exquisitely beautiful premises. Staff are so professional and friendly. Dr Tim is the only dentist I would ever trust as he is so skilled and is an expert in his field. Thank You! They helped me fixed my sons tooth (I couldnt afford it at the moment) the lady was Brilliant! They are so good with kids! Thanks so much guys. Ill always refer people to you! Fantastic! Dr. Tim Struwig gets 5 stars from Inter-Africa Dental. We bring a wealth of comprehensive, high quality and personalised health and wellness treatments for the whole family. Everyone at TimRon Health & Wellness Centre is committed to providing you with the very best in healthcare. We use higher quality equipment than the average medical centre. Your health and wellness will always be the most important aspect of what we do. Our team of professionals are highly qualified with years of experience. Be the first to know about our monthly specials and give-aways. 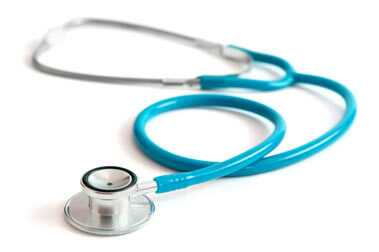 Compassionate and comprehensive medical professionals. General Practice, Dentistry, Aesthetic & Cosmetic Practice in Johannesburg.